The Chicago TARDIS Costume Contest (also called the Masquerade) is a long standing tradition at many fan-run conventions. Each participant competes in their own category based on age and skill level. Our Costume Parade (or Chronological Cavalcade) is an opportunity for cosplayers of all skill levels to showcase their Doctor Who costumes in which their character was introduced into the show in chronological order. With this parade, we aim to have as many unique characters from Doctor Who as possible, so no character is too obscure! Read on for more information about and photos of previous years’ activities. The Masquerade is a timeless tradition among fan-run conventions, and is the showpiece of the convention. A judged competition, the Masquerade brings together the best in Doctor Who costuming on one stage. Sign-ups will be coming soon for the Masquerade. If you aren’t sure about participating in the Masquerade, you can always sign up on-site at the convention. For any other inquiries, you may reach out to us at our Chicago TARDIS Costumed Events Facebook page or use the contact form here on our website. Thank you for your interest in the Chicago TARDIS Masquerade! Please read and review these rules before you plan to enter the Masquerade. When you complete your form, you will have to have read and understood these rules. 1. All entrants must be attending members of Chicago TARDIS, with a valid membership to the current convention year. If a costume is being modeled by someone other than the creator, both the creator and the model must be attending members. 4. Please make sure to ﬁll out all pages of the form and turn them in to the Masquerade table by the posted deadline. No forms will be accepted after the deadline. 5. Costumes should be from Doctor Who, a related show (Torchwood, Sarah Jane Adventures, Class), or inspired by the same. 6. Competitors will be divided by skill level. Youth is for children, up to age 16. Novice is for cosplayers who have won no awards, or no more than 2-3 awards at small to medium size conventions. Journeyman is for cosplayers who have won at least 3 awards at small to medium size cons or 2 awards at large cons. Master is for cosplayers who have won multiple awards at cons (at least 6 or so from smaller conventions or 4-5 at larger cons). 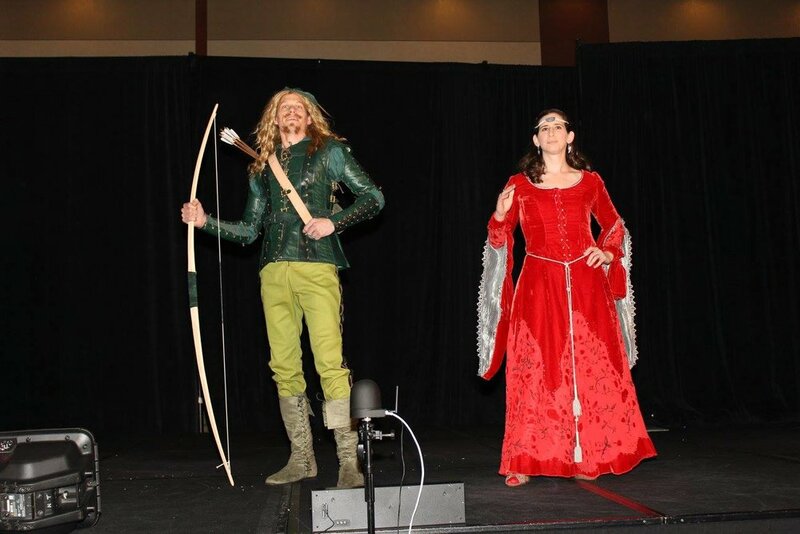 Exhibition category is for cosplayers who do not wish to be judged but would still like to show oﬀ their costume on our stage (including cosplayers whose costume is more than 50% purchased and therefor ineligible for workmanship judging). 7. Cosplayers will be judged on workmanship and presentation. To be submitted for workmanship, a minimum of 50% of the costume must have been constructed by the entrant. Any purchased elements must be disclosed to the judges during workmanship judging. Costumes consisting of more than 50% purchased or purchased & altered materials cannot be submitted for workmanship judging. 8. All costumes must adhere to a PG-13 rating. The convention is family friendly and the Masquerade follows that. All naughty bits must be covered! (unless said animal is a service animal, and cleared with the Masquerade Directors). 10. All weaponry must be peace bonded, and live steel is not allowed. If your presentation requires wielding your weapon, you must speak with the Masquerade Directors about this ahead of time and the Directors’ word is ﬁnal. 11. Skit time limits are 1 minute for solo cosplayers, 2 minutes for groups of 2-6 cosplayers. 1. Any audio needed for your performance must be in MP3 or WAV ﬁle format, with your name in the ﬁlename, and brought to the Costumed Events table before 2 pm Sat or to the Masquerade pre-meeting on Sat on a USB drive so it can be copied to the master USB drive. 2. NO STREAMING AUDIO SOURCES. We cannot play a particular song from YouTube or similar streaming services. Internet is not always reliable and streaming links will not work. Please talk to us ahead of time, we can help you create an MP3 or ﬁnd a similar song in our archives. 3. Please bring your ﬁle on a USB drive. These are cheap and easy to obtain. We cannot stream audio from your phone or iPod, we need the actual MP3 or WAV ﬁle. 4. Please edit your ﬁle to exactly the snippet you want! It’s easy to do with Audacity or Garage Band. 5. If you have questions about these rules, ask sooner rather than later! Ask ahead of con by messaging the Chicago TARDIS Costumed Events Facebook page or during con, please stop by the Costumed Events table as early as possible. 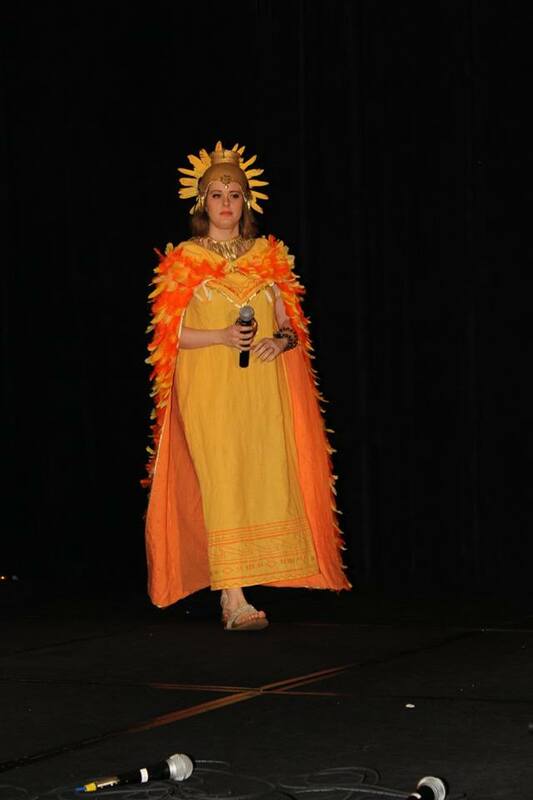 Check out a few photos of our previous Masquerade contestants! What is the Chronological Cavalcade? 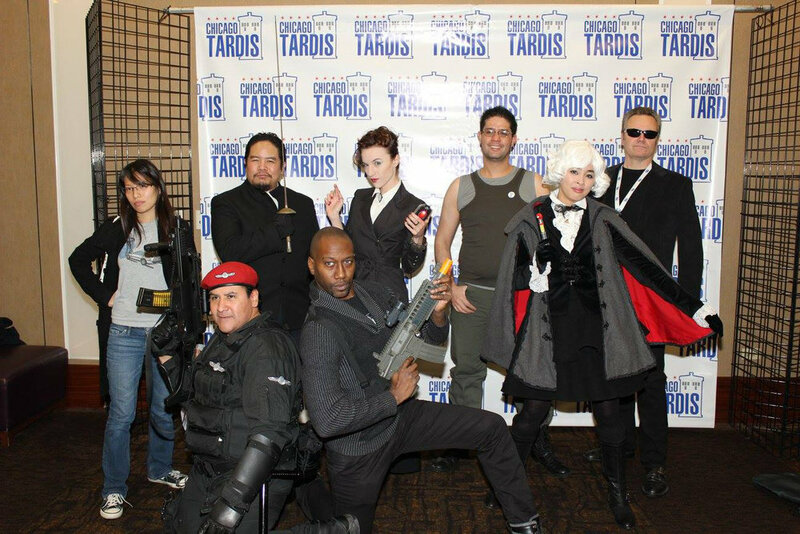 The Chronological Cavalcade is a non-competitive showcase for the varied and wonderful world of Whovian cosplay. Friday evening of the convention will feature a parade of costumers in chronological order across one of our featured stages. As with every year, the Chronological Cavalcade will take place immediately following Chicago TARDIS opening ceremonies (around 6pm). The Chronological Cavalcade is open to any age. Participants 13 and under must have a parent or guardian with them. The parent/guardian does not need to go on stage with them, but must be nearby or with them in the Green Room area. Participants must sign-in with a Chronological Cavalcade staff member 30 minutes before the start of the event. Check out a few photos of our past parades!